Hello, I’m glad you’re here! 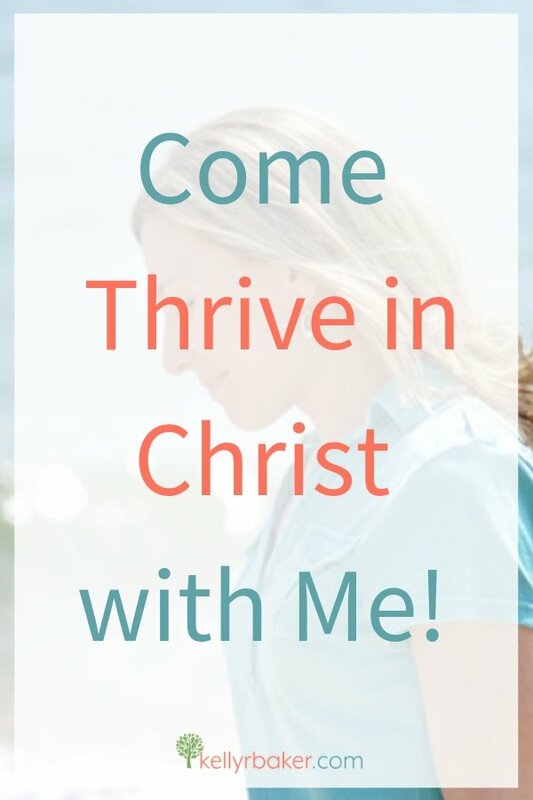 Do you want to thrive in Christ in every area? Is your desire to have a consistent Daily Time with God? Would you like to learn how to be healed from hurt? My posts are a mix of solid biblical truths mixed with personal mishaps—I mean experiences—of lessons learned. I share these to help women grow more spiritually mature. If that sounds like what you want, then you’re in the right place! I have also opened the Blogger Voices Network for women faith bloggers who want to practice contentment, keep our blog as an offering for God’s glory, and not allow comparison to divide us. If you resonate with that and desire to collaborate in a like-minded community, then we’d love for you to join us! If you want to thrive with other followers, then join me! Stay in the know, receive access to the digital library of Insider Resources with worksheets, printables, my eBook How to Thrive in Christ, and more. Do you need encouragement for spending time with God or struggle to keep a Daily Time with God consistently? Get access to the Best Viewpoint Daily Time video series. If you’re looking for a menu of spiritual nourishment, check out my FREE tab in the menu above. There you will find helpful series on experiencing the miraculous power of God, experiencing remarkable worship, and download your free Daily Time bookmark. There are also Bible study tools, and more. Do you sense God drawing you deeper? Perhaps He wants to use a period of 40 days to prepare you for a special work or calling. Check out 40 Days of Daily Bread: devotionals for breakthrough. I knew from a very young age that God called me to the ministry but grew up with a track record of fighting His ways. I finally stopped blaming hormones and embraced His call, including writing. After many years of being pruned, now I love leading others into God’s presence and freedom found through Jesus. The acronym Daily Time is my mantra. It means: Determining Again I Live Yielded. Today I’m Maintaining Evidence. I love helping others thrive in their Daily Time with God! Justin is the man God hand-picked to put up with me (ha! ), that I finally got to marry after learning to delight myself in the Lord. He is my in-house editor, so you can blame him if anything looks wrong, sounds wrong, or is spelled wrong. 😉 I currently serve with him in leading the worship ministry at our church and am an author and online mentor. I became a licensed minister in 2002 and ordained in 2011. I have an Associates degree in Theology. My Bachelor’s got put on hold when I started having kids. I’m thankful for the several pastors that keep me accountable and also for the several individuals who make up the intercession team for this ministry. You’ll probably find me sneaking a bite (or two) of organic dark chocolate between keeping my crew of four on the homeschool and household routine. I would rather be writing or watching chick flicks than shopping any day. Oh, and one more thing you should know about me. I’m more of a humorist when I’m comfortable around people. That comes through my writing sometimes. I hope you’ll join me in laughing at my hilarious cheesy jokes.